2 Bedroom Terraced Bungalow For Sale in Burnley for Offers Over £135,000. Open House Event Saturday 27Th April - 1Pm Until 2Pm. Call Now For More Information 01282412515!! TRUE MODERN BUNGALOW IN SOUGHT AFTER LOWERHOUSE AREA! A 2 bedroom bungalow in a quiet cul de sac ideal for buyers looking to downsize to a more manageable property. 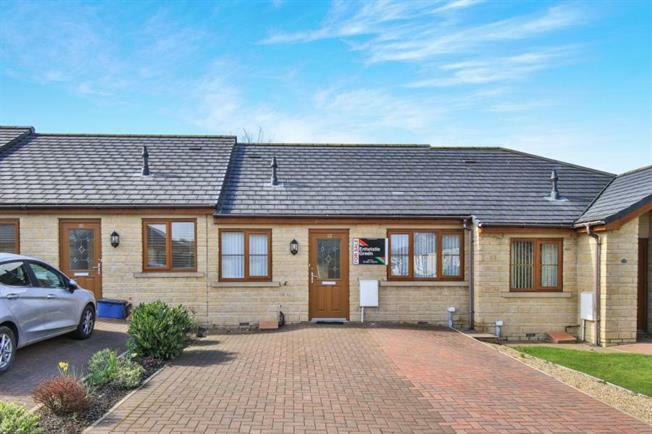 Built approximately in 2010 this home is benefits from a lounge/diner, modern fitted kitchen, 2 bedrooms, wet room/wc, upvc double glazing, gas central heating, private and enclosed rear garden, ample off street parking with parking for 4 cars. Located within easy reach of either Burnley or Padiham for shopping facilities and easy access to the motorway network. Viewing is advised of this great opportunity! Radiator, access to loft with wooden retractable ladder ( partly boarded). Upvc double glazed sliding patio doors leading onto garden, radiator. Comprising of a range of modern white gloss effect wall and base units, worktops, stainless steel one and a half bowl sink unit with mixer, plumbing for washing machine, integrated fridge and freezer, built in electric oven and hob with extractor hood over, radiator, upvc double window to rear and door to garden. Modern suite comprising of walk in shower cubicle with glass screen with chrome mixer and shower, inset basin and low level wc, tiled walls and floor, exractor fan, towel radiator, electric shaver point, spotlights. Low maintenance rear garden with flagstone patio area, lawn, timber storage shed with power. Block paved double driveway with parking for 4 cars.